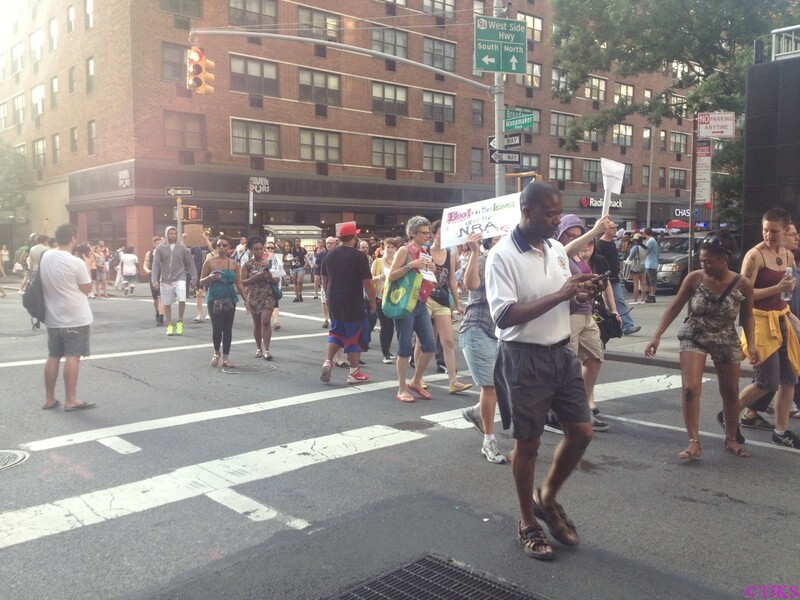 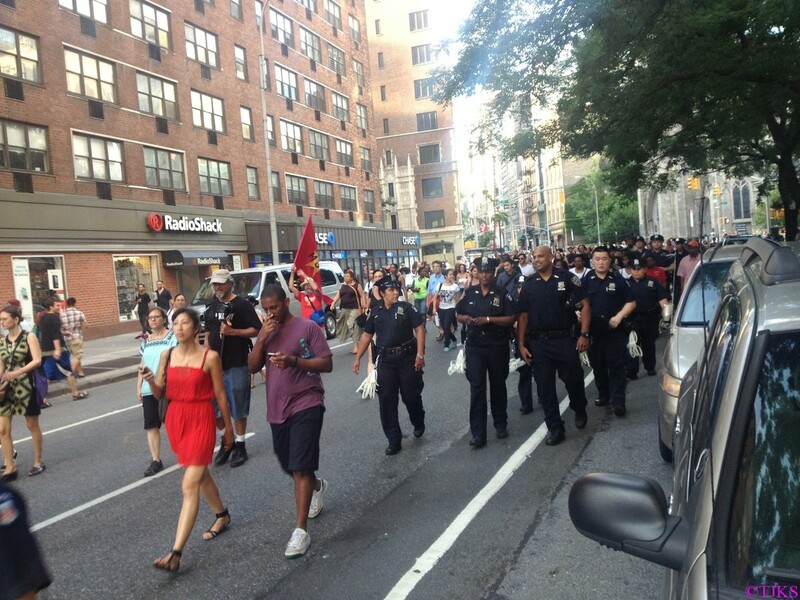 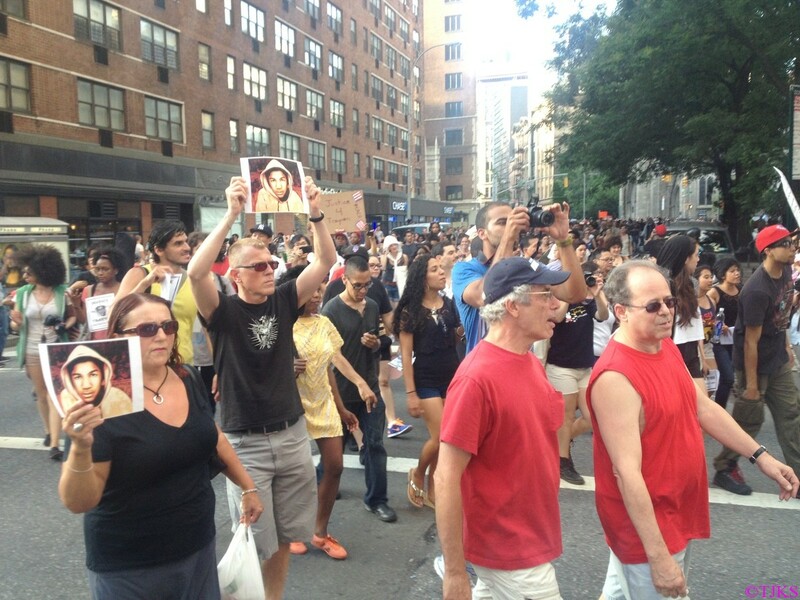 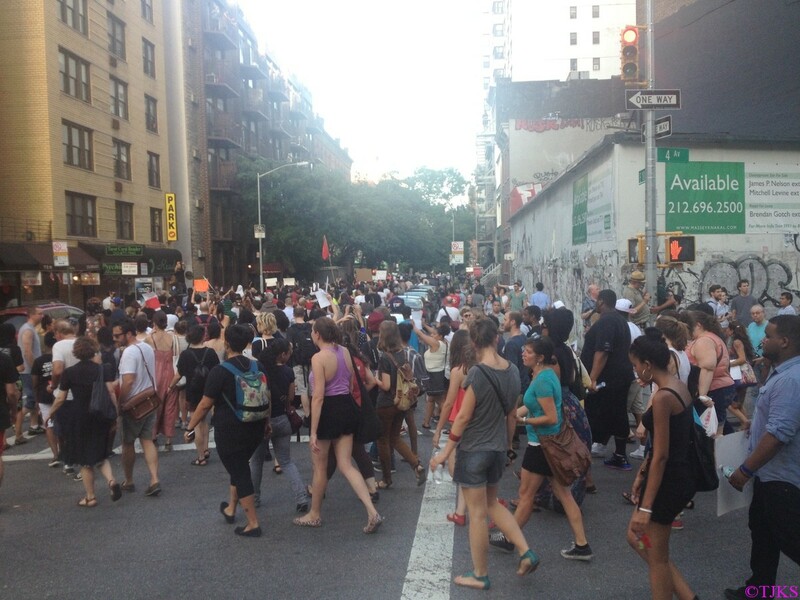 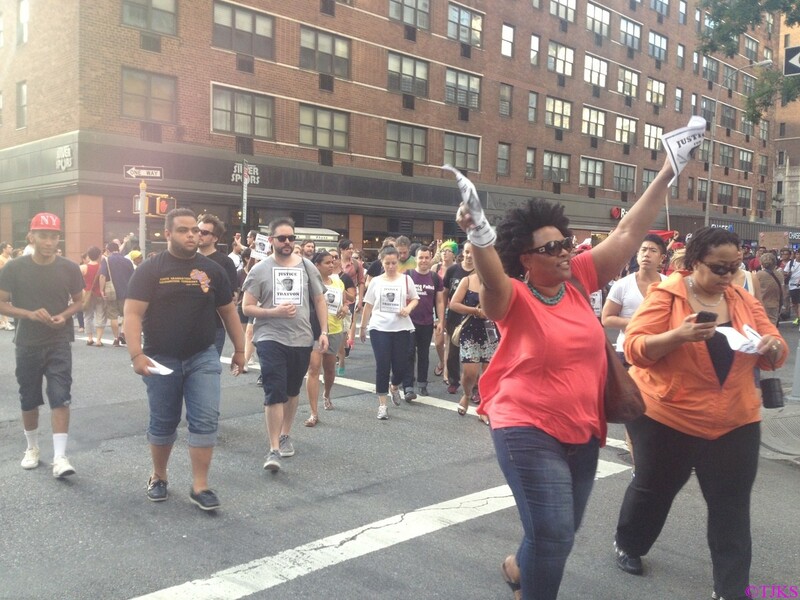 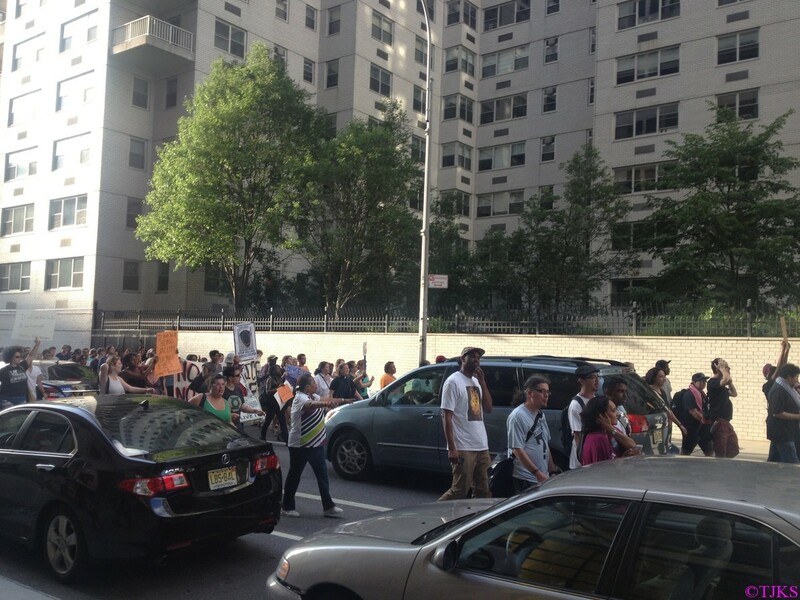 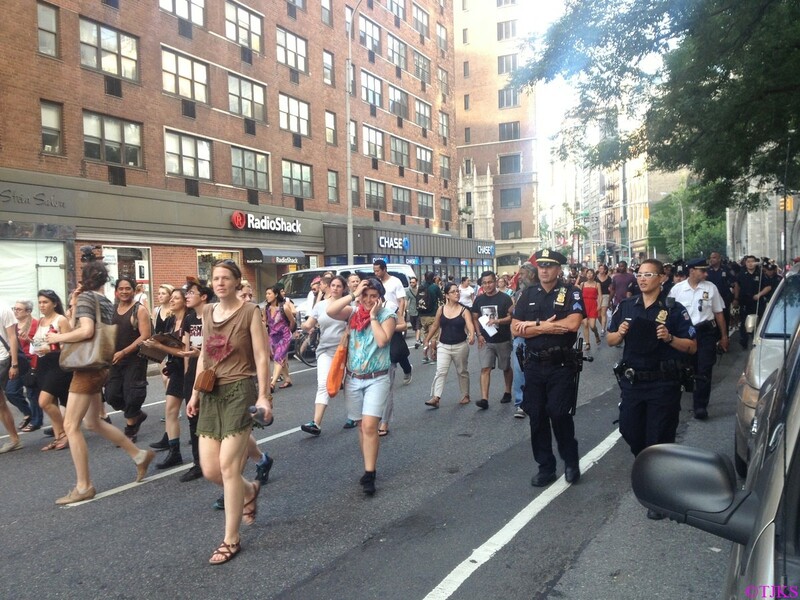 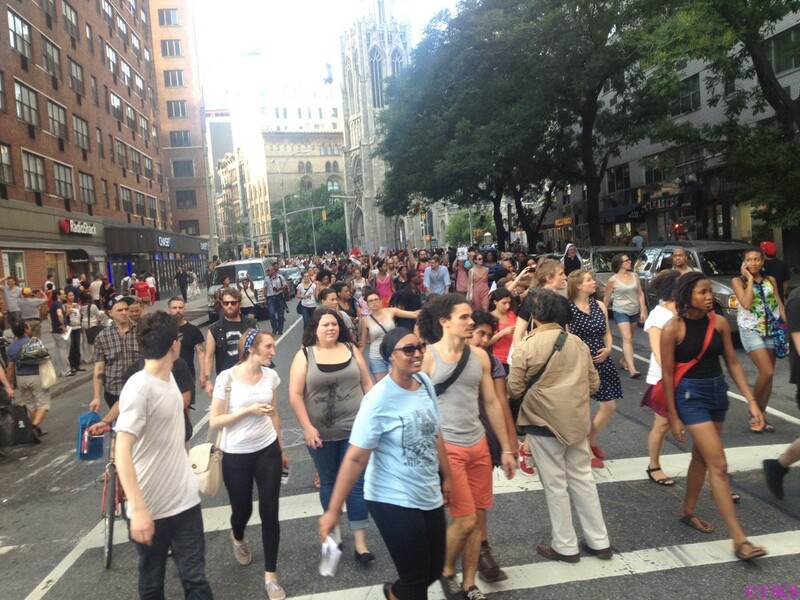 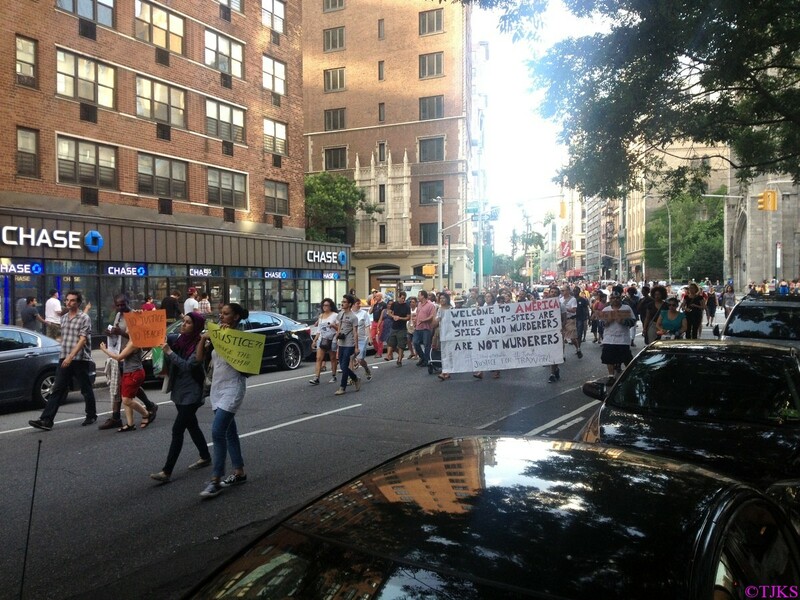 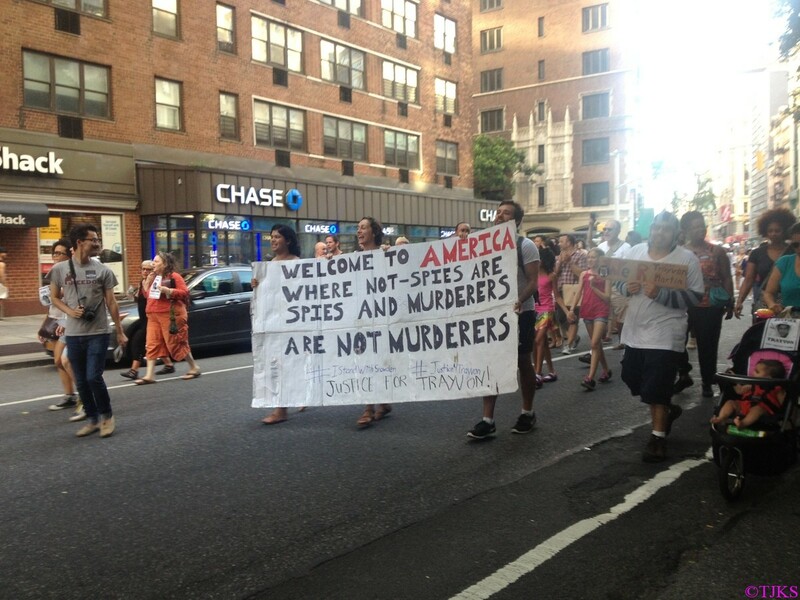 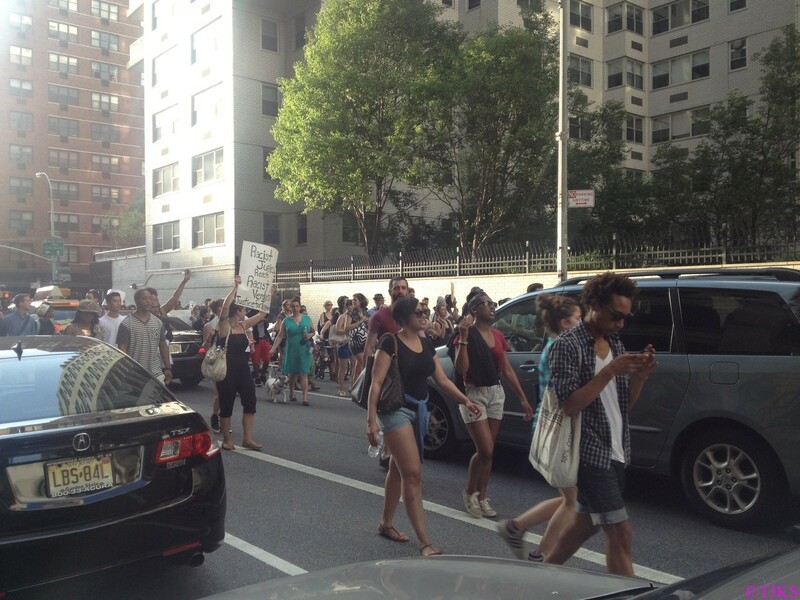 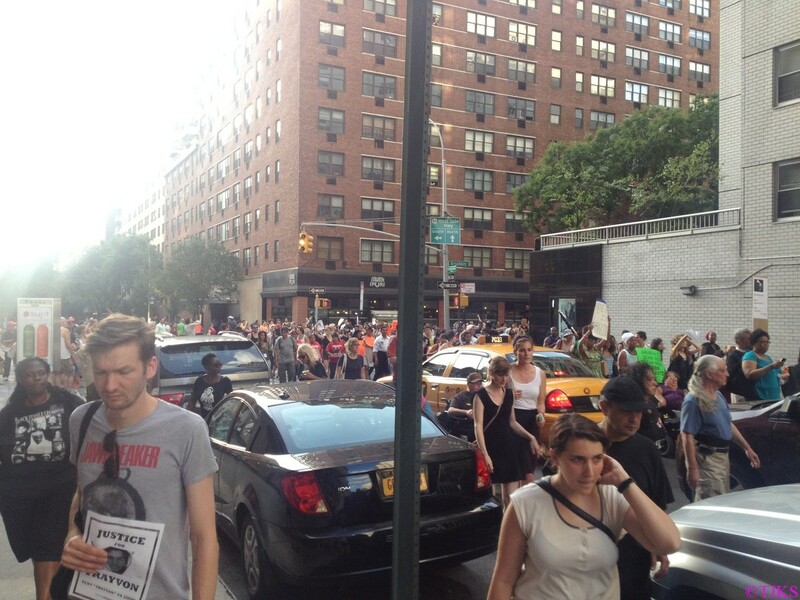 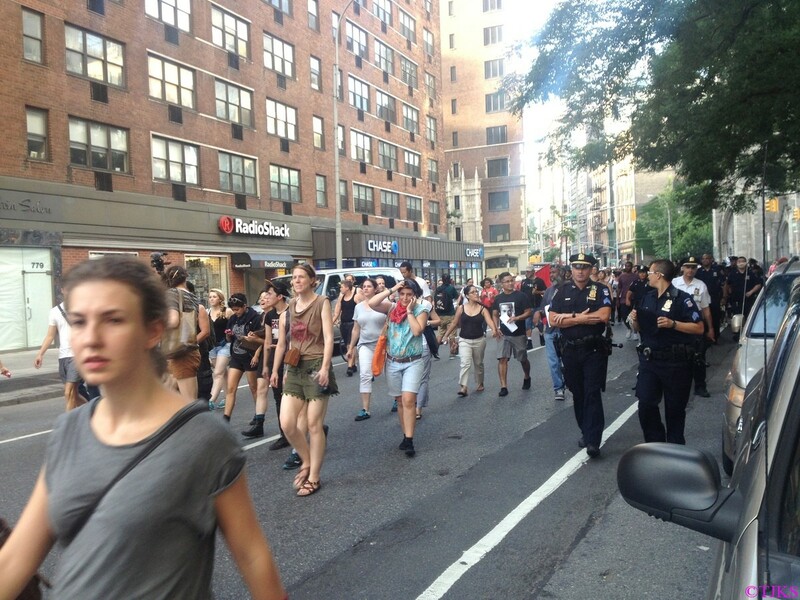 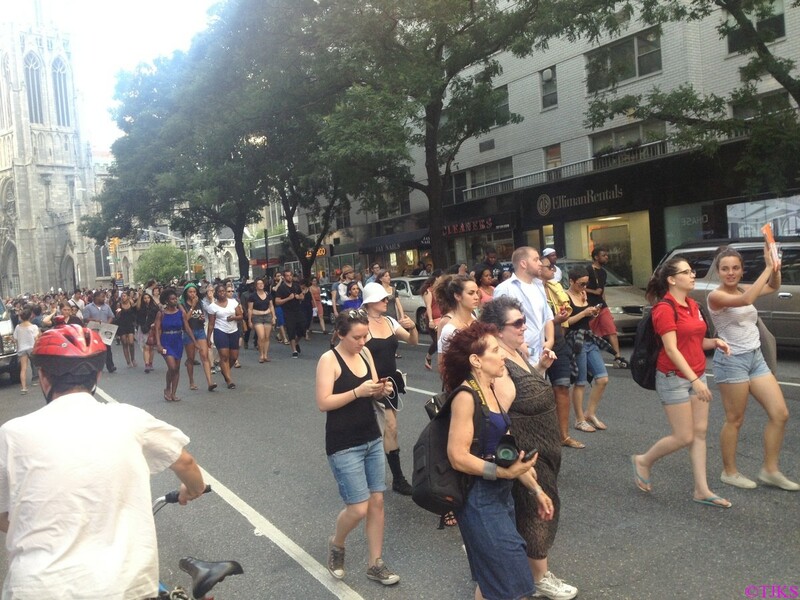 A march for Trayvon Martin drew big crowds in New York City on Sunday. 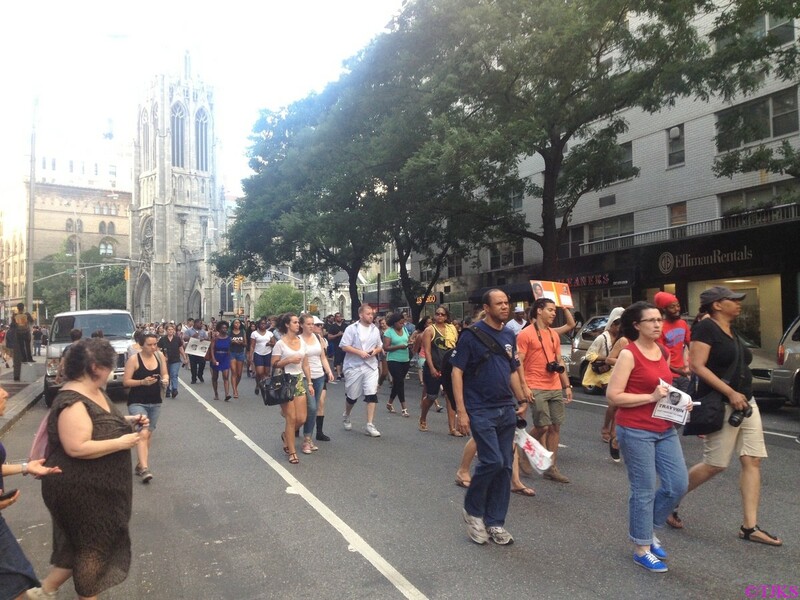 The march eventually turned onto E. 9th Street toward 4th Avenue. 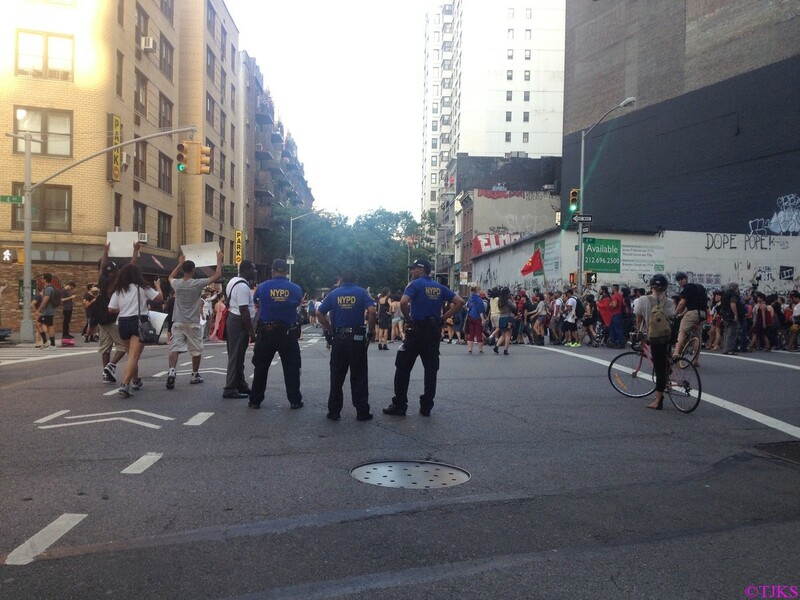 The demonstrators were able to march past this barrier. 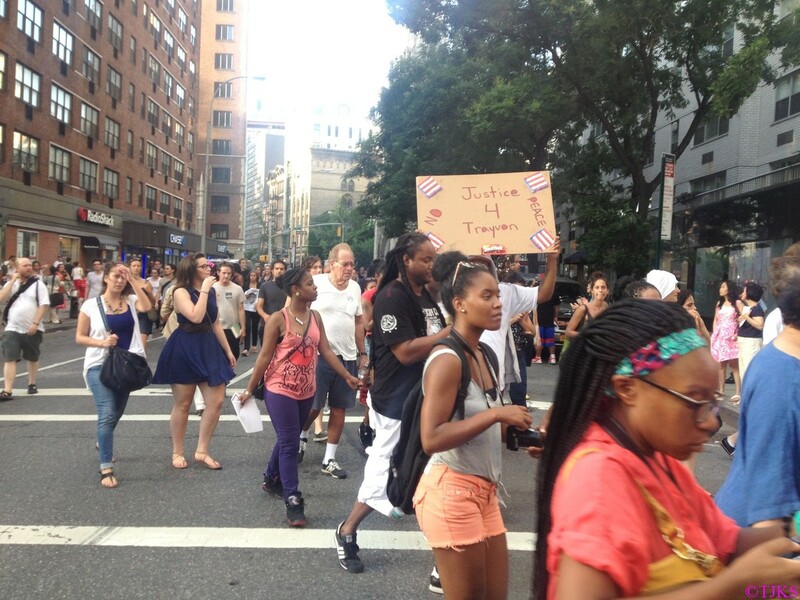 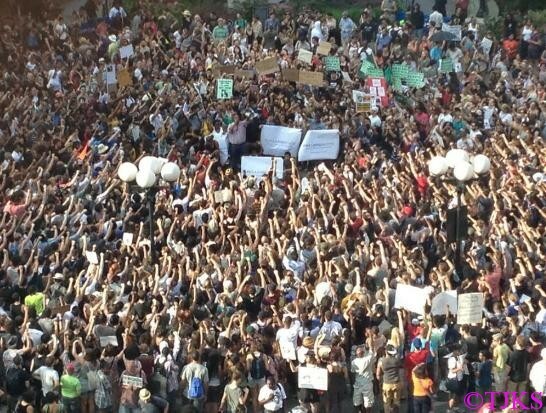 The protests come a day after George Zimmerman was found not guilty of second-degree murder in the shooting death of Martin. 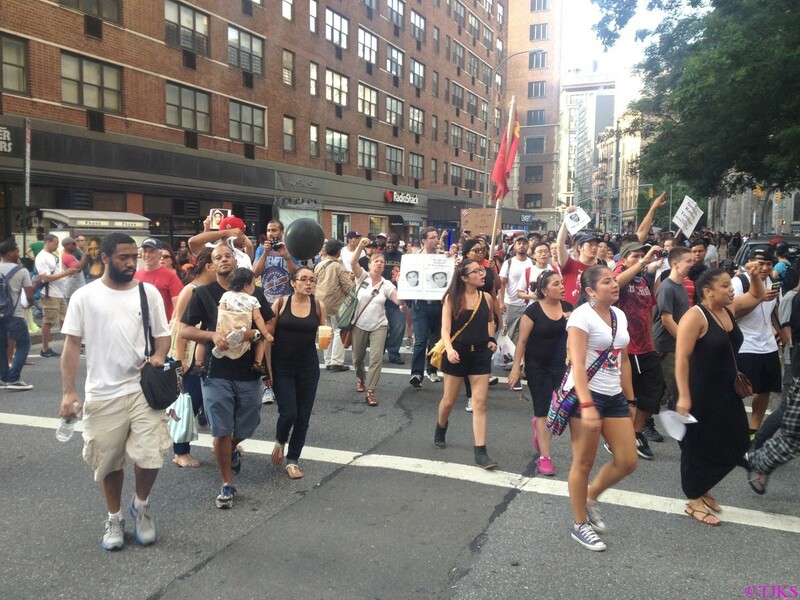 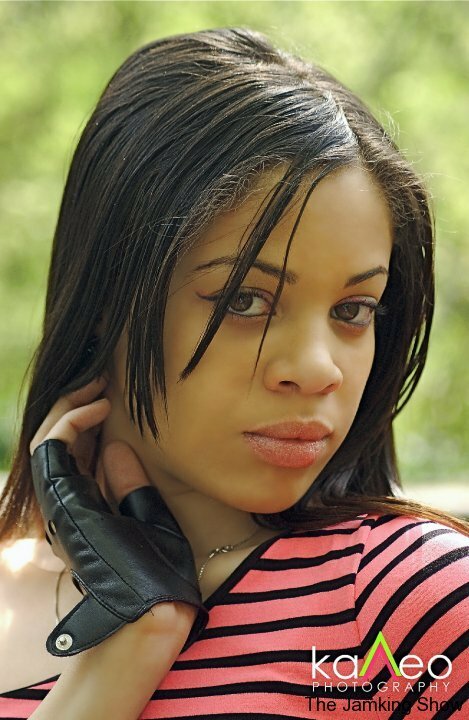 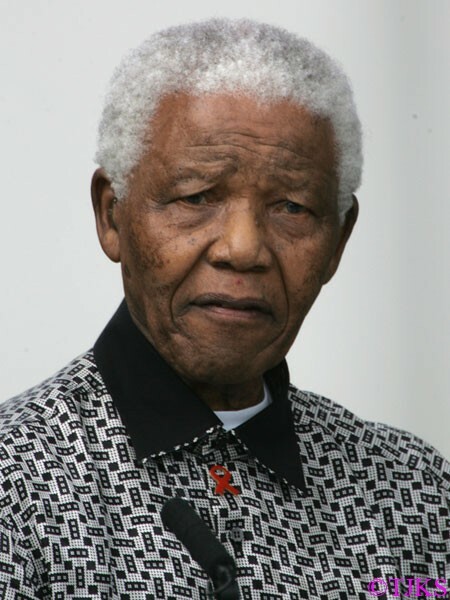 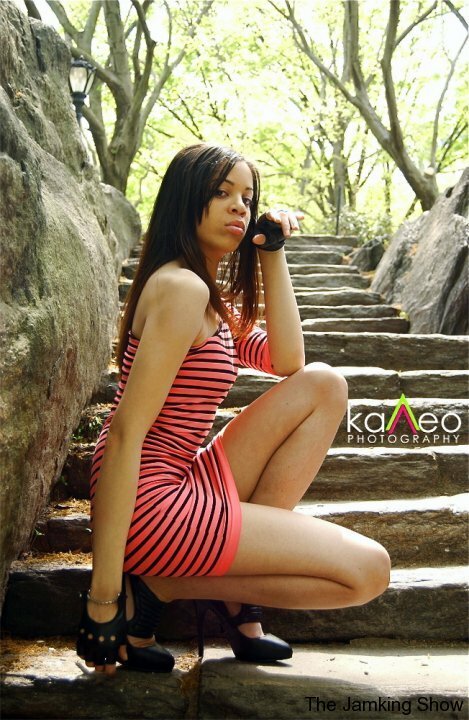 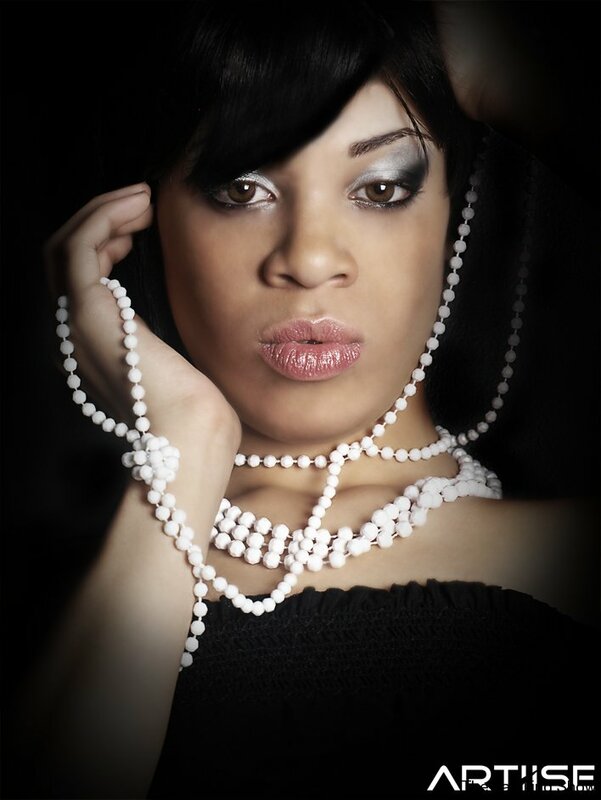 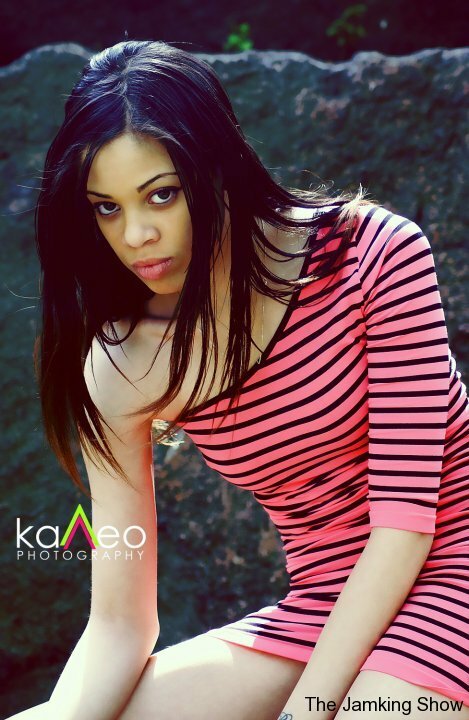 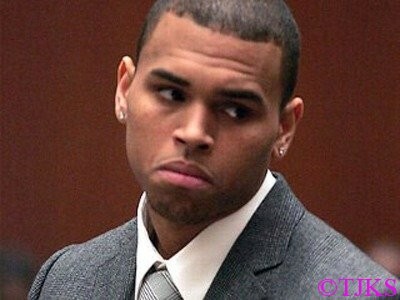 In addition, the Justice Department announced that it is going to review the Zimmerman case.